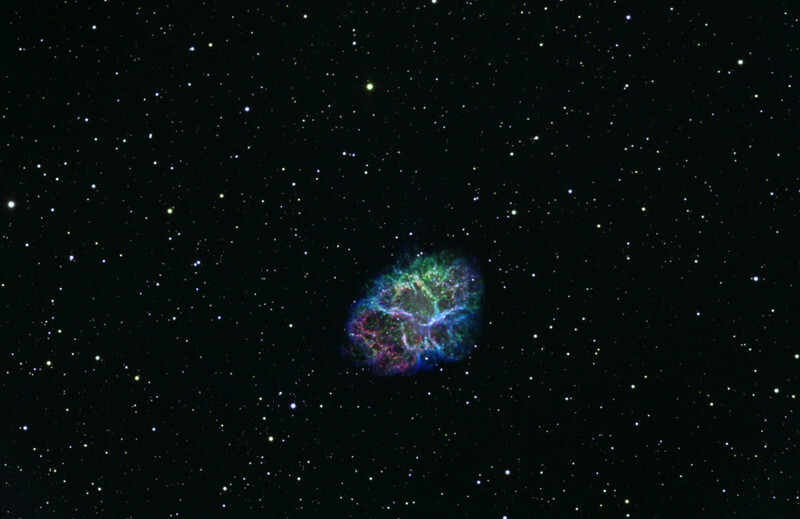 M1 or the Crab Nebula. Green H-alpha 4hrs. Blue OIII 5 hrs. Red SII 4 hrs.